Pronexus VBVoice IVR Blog | Always On! – Taking the Call No Matter What! Always On! – Taking the Call No Matter What! Have you ever been trying to answer an automated call in a loud area and struggle to make your responses heard above all of the noise? Or perhaps you have been in a classroom, meeting or even church when you received an automated call that you wanted to respond to but couldn’t because you needed to keep quiet? 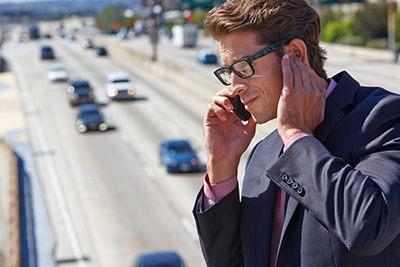 Whether you’re on a crowded bus or in a quiet meeting, you may simply not be able to respond to an important speech recognition call. What if there was a solution that allowed your end users to provide their responses despite their environment? There is. Visual IVR. Pronexus now offers built-in Visual IVR developing functionality in our core product, VBVoice, through VisualConnect™. With VisualConnect, you can convert any voice call flow into a visual call flow easily – ensuring that the end users your IVR needs to reach can take the call anytime, anywhere. Not sure yet? End users simply indicate they would like to continue the call in a visual format and a link is sent via text to their smartphone. The call flow is then offered in an easy to use visual format, offering all the same powerful interaction that the audio call offered – make a payment, check your account balance, respond to a survey, and much more. Now - instead of struggling to hear or trying to keep quiet, end users can interact with IVR calls using just their touch screen. Your customers will never need to ignore your calls again because they will be able to use VisualConnect to take your call in any situation. Try it today!